When you deal with a coin and bullion company, you want to have the confidence that you will be getting a fair value for your hard earned money. You want to be assured that the company has a stellar reputation, and will live up to what they say. 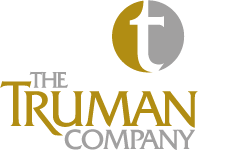 That’s why The Truman Company takes this subject very seriously. With over 30 years experience in precious metals and a perfect A+ Rating with The Better Business Bureau. Our expertise and commitment to excellence ensures long lasting professional relationships. Additionally, you will want to check our business references. A business that honors its commitments to their clients and business partners is the type of company you want to deal with, year after year.